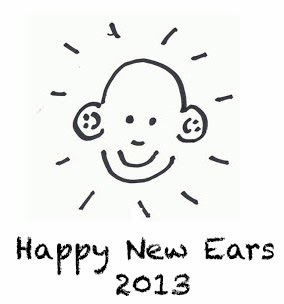 An album that I proposed for the Happy New Ears Award, but that didn't make it to the final list, mainly because it had not been reviewed yet. The Swiss band consists of Co Streiff on alto and soprano saxophone, Gabriela Friedli on piano, Dieter Ulrich on drums, and Jan Schlegel on electric bass, a balanced quartet of two women and two men. 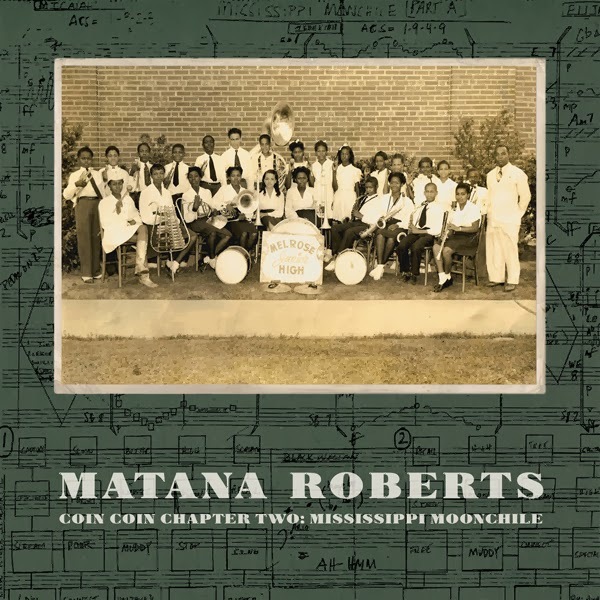 The music has a quite unique quality, working with composed parts in a very open-ended context, like islands floating in an ocean of possibilities, with some real jazzy moments in the traditional sense, with some boppish pulse and intimate playing, as on the closing track "Straying Horn", a clear reference to Billy Strayhorn, but then moving outside, almost naturally, without effort, then reuniting in a unison theme to the enthusiasm of the live audience. But what comes before is less easy to pigeonhole. Yes, there are moments of pure minimalism, like in the opening track, when sparse and subtle sounds create an eery atmosphere built around silence, but then suddenly a quiet theme arises, out of nothing, disappears again for further quiet development, then restless interaction, somewhat chaotic, until the theme again grows out of the ongoing agitation, moving into full visibility, then disappears again in strange fluttering and ruffling of alto and drums, in the aptly titled "Gesang der Nacht" (Singing of the Night). "Weisser Zwerg" is a slowly paced avant-garde piece, lightly textured at first, with the sax barely audible taking the lead voice, then density increases slightly when suddenly all instruments are heard together, a rare occurence on this album, then fade away to quiet and eery piano by Friedli. 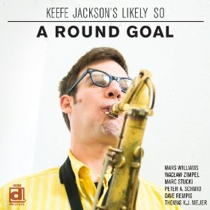 "Equilibre Tendu" in contrast is more post-boppish and expansive, in a kind of Coltrane mood, with all four instruments heard at all time, with the alto soaring above the tight rhythm section. The quartet meanders between inside and outside playing with dexterity and a natural sense of spontaneity that is indeed refreshing and light-footed, and like the Convergence Quartet's "Slow and Steady", they offer the perfect line of eclectic jazz modernism, with a rare sensitive and elegant quality in the overall sound. Nothing ground-breaking, but just beautiful and inventive. 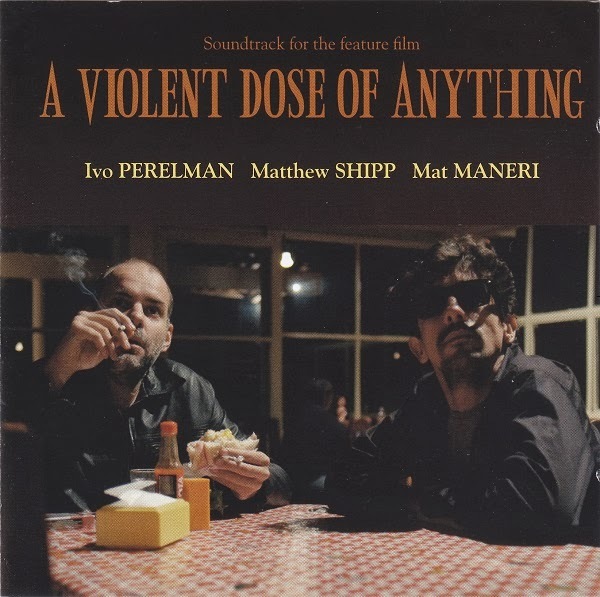 So far, I think we've reviewed about ten albums by the Brazilian sax player; but New York resident, Ivo Perelman, a musican close to my heart, because of his ferocious lyricism, his raw and sensitive energy, his authenticity as an artist and as a human being. 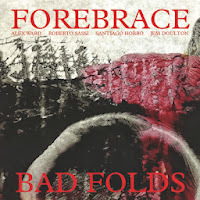 Like with so many musicians, this reviewer would love to write about all his releases, but his output has been so prolific recently, that it's hard to catch up, let alone invest the necessary time for close listening and concentrated reviewing. 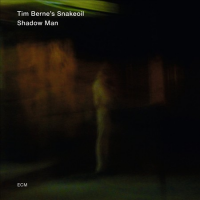 I can refer readers to the great Discogs website, and you will notice with me that Perelman released no less than a dozen CDs in 2012 and 2013, some of which were reviewed on this blog. 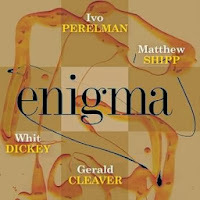 Recent highlights are "The Foreign Legion" with Matthew Shipp and Gerald Cleaver, "Living Jelly", with Joe Morris and Gerald Cleaver, "The Hour Of The Star" with Joe Morris, Matthew Shipp and Gerald Cleaver. Perelman and Shipp crystalise their long musical collaboration in the most intimate of performances, a duet between piano and sax. Without preparation, both musicians set to the task of co-creating their art of the duet, one of close listening, like-minded thinking and perfect inuition, and of course strong musical skill. This is not a romantic outing, but actually a rather harsh one at times, with abstract phrasing and timing. And both men co-create from a common background in jazz, with references to known pieces. Is that Jobim in "Duet #8"?, or Ellington in "Duet # 11"? or Gillespie in "Duet #9"? Hard to say because the boundaries of harmony and melody are blurred by higher levels of abstraction, yet they reside unmistakably underneath the chords and phrases, like spirits from the past pushing these two masters forward in their exploration of interaction, of call and response, of cerebral games and emotional alignment and expressivity. In contrast to some of the other albums reviewed here, the energy is somewhat lower, with both musicians respecting the classical chamber music setting. 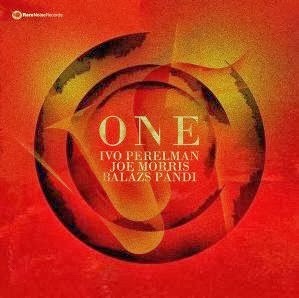 "One" is a really ferocious album, with Joe Morris on electric bass and Hungarian drummer Balazs Pandi on drums, a sax trio in the best free jazz tradition, an album that kickstarts as if in the middle of a performance, no intro, no theme, just raw blowing and relentless attacks on strings and skins. The second and third track are somewhat calmer, and more lyrical, with great pulse and implicit rhythm, the kind of foundation which makes it possible for the saxophonist to move in any direction without restrictions. 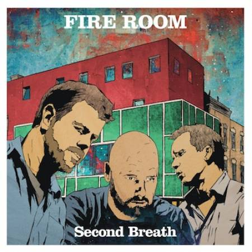 The title track is a duo between sax and bass, sensitive and wild at the same time, but then the last two tracks the trio is back in full force, relentlessly, with all three musicians moving as one, including the sudden slowing down on the last piece, a strange breathing moment before the storm starts raging again. 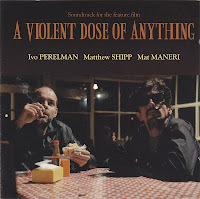 "A Violent Dose Of Anything" is actually the soundtrack for a Brazilian movie with the same title, released earlier this year as "Uma Dose Violenta de Qualquer Coisa", and the music is of an abstraction and dissonance that is hard to make compatible with a movie. Matthew Shipp's piano chords and phrases are among his most unusual, full of openness, lack of pattern or direction, a strange backdrop for both sax and viola to play with strange undercurrents of surprise and disorientation. But then if you read the plot summary of the movie "Pedro has taken the road and he does not know where he is going. Lucas does not know it either", the music makes sense. Next to the wonder and disorientation, there is drama, but also some fun moments, when a sudden rhythmic pattern makes the three musicians join in a little dance, that disappears as quickly as it arises. Interestingly enough, the strange, floating quality of the music is maintained throughout the album, making it a very coherent, and special listening experience. 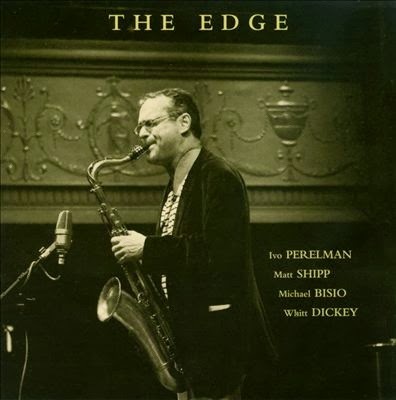 "The Edge" is offered to us by a quartet with Perelman on sax, Matthew Shipp on piano, Michael Bisio on bass and Whit Dickey on drums. The album starts with arco bass and a romantic sentiment coming out of Shipp's piano, forcing Perelman to move in an almost David S Ware style into the stratosphere, full of expansive howling to the universe, full of power and confidence, in sipiritual awe. 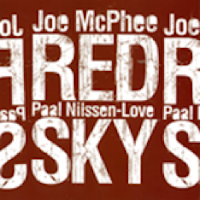 On the second track, they're back on earth, starting with some 60s jazz feelings, but rapidly evolving into soaring sax and intense rhythm section, into the essence of real free jazz, but Perelman is not a screamer, quite to the contrary, despite his ferocious energy, his tone remains warm, and throughout his soloing he comes with melodic phrases or rhythmic emphasis, playing with volume and speed, offering lots of variety and beauty on top of the intensity. And the album has variations in line-up too. Two tracks are actually duets between sax and drums, one of sax and piano. These three tracks are also the calmest ones, and near the album ends in full force, in the aptly titled "Volcanic", and the last track is an ode to Ben Webster, called "Websterisms", with again a 60s sentiment, but a 21st century delivery. 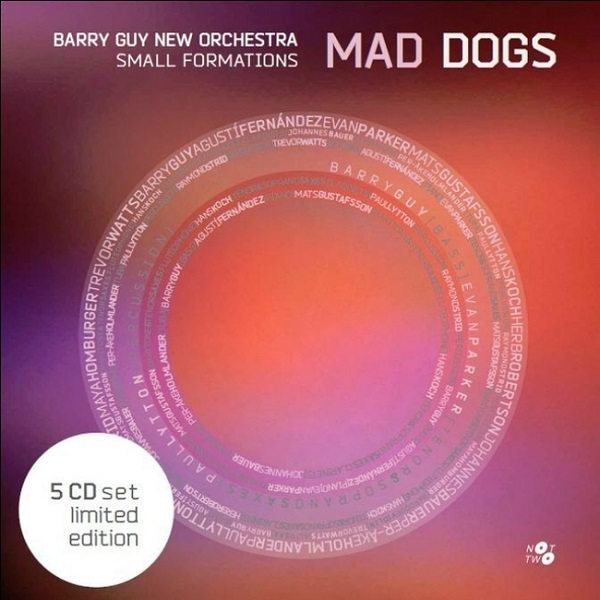 This is Perelman at his best, and I must say, all four musicians are fantastic on this album. For a quartet that features two drummers, the album starts quietly, with a ballad called "Enigma" on which Perelman and Matthew Shipp share sensitive thoughts, fragile and slow, with a minimal percussion support, a few cymbals, some toms, nothing substantial. 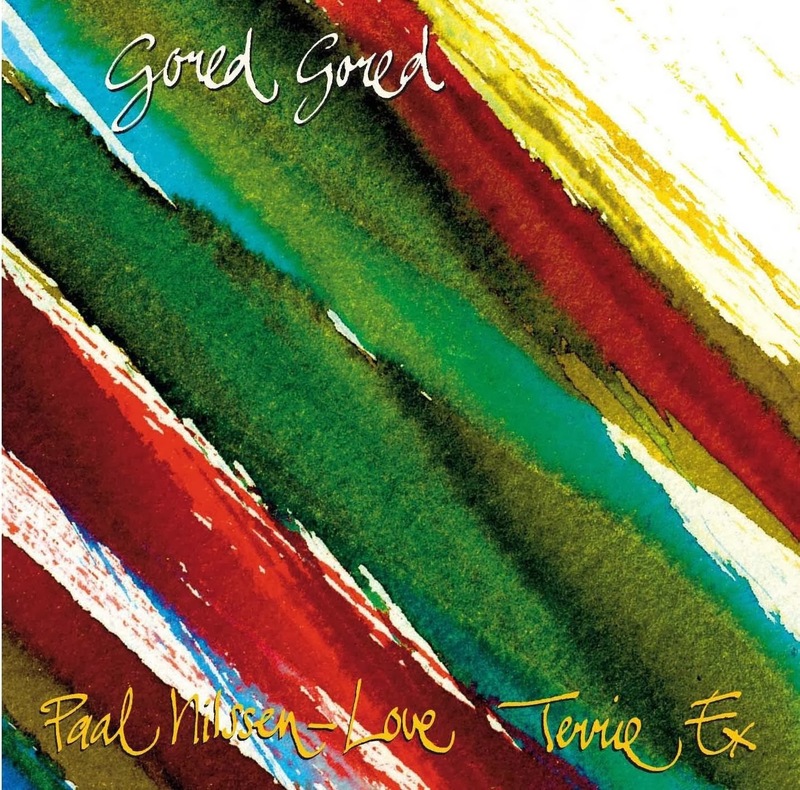 "Irresistible Incarnation" starts with some dramatic piano chords, with bluesy right hand runs, but Perelman joins almost against the intro, with rapid phrases breaking the sentiment, supported by the energetic propulsion of the bass drum, slowly growing in power until both drummers are active, with counter-rhythms and antagonistic interations, playing the same thing, yet full of cross-currents and whirlpools, with changing emphasis, volume and intensity. "Annunciation" is only full energy, a solid work-out for the quartet, with Shipp resorting to some of his most percussive playing too, hammering on his keyboard, supporting a screeching and howling Perelman, and sentiments change again with "Supernatural Life", a slower piece, yet with relative energetic drumming, two-timing the piano and sax. 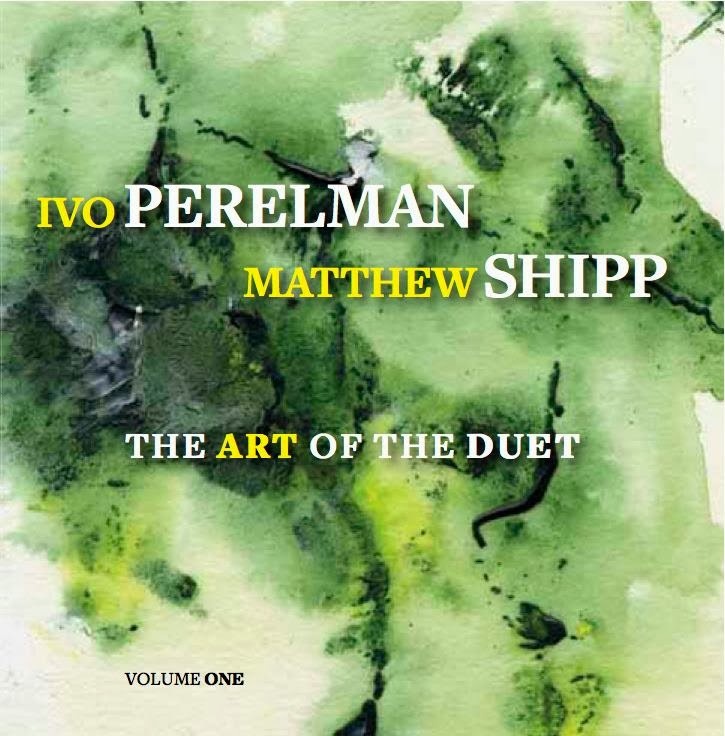 Then Shipp and Perelman play two duets, the first one slowly, the second one with somewhat chopped and unpredictable rhythms and evolution, as if some madness forces the two artists to jump and turn for no apparent reason. The album ends with the powerful "A Bourgeois Ideal", not without reason placed at the end of the album, and a great finale for a strong album. But in truth, "Serendipity" is the greatest album of them all. 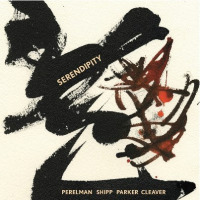 Just one track, a fourty-three minute free jazz blow-fest, expansive, exuberant, relentless, with references to bop somehow, with references to Coltrane in spirit, but Perelman, Shipp, Paker & Cleaver in reality, with the four virtuosi giving the best they can give, driving, propulsing the music forward, full of intensity and unavoidable necessity of notes and rhythms that are what they should be, hammering and pounding and uplifting and tearing and moving, without pretence, without cerebral intervention of chords or phrases that think about harmonies or structure, or clever creativity, no, a wild outburst of pure heartfelt musical energy, expressing things that we all would like to express but lack the means to, making this even more valuable, the thing we would express if we had the same skills as these four guys, so that makes it good to hear, a quartet in unison with the listener's emotions and deeper aspirations, releasing unexpressed feelings and even shady things hiding between feelings and thoughts. In a way, this is the band that goes beyond self-consciousness, that stops thinking, but fully falls back on some more foundational, some rawer and authentic expessivity, in a denial of the cerebral, lifting the music to a level of absolute purity and energy. 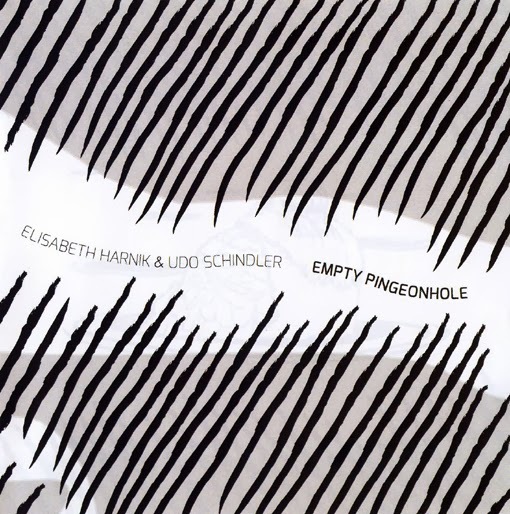 Elisabeth Harnik plays piano and Udo Schindler plays bass clarinet, contrabass clarinet, soprano saxophone and cornet, in a strange but always fascinating dialogue, starting with hesitating explorations of empty space, changing into confident and fully voiced piano which fades away for quiet moaning clarinet. Sounds are fragile and shifting, played cautiously in different ways by the same instruments, in long stretched phrases, or in percussive plucking, and then contrasted by the original and full-blown sound of either piano or clarinet, offering a moment of recognition and home-coming, yet even then the deep emotions expressed keep their sense of agony and distress, and the first long piece ends at full volume, with the cornet and the piano interacting nervously and agitatedly. The second track is more homogeneous, with the clarinet taking the first part as the lead instrument, with the piano being plucked sparingly and lightly to accentuate, yet the mood shifts in the second part, when the piano takes the lead, coercing the clarinet into a more intense dialogue, with higher density of the sounds, becoming more frenetic as it develops, with maddening phrases played by Harnik, with a slightly shifting and halting repetitive pattern that completely drowns the clarinet at first until it gets a second breath. This album will not be for everybody's ears, but the quality and the variety of the improvisation is sufficient to make this fascinating music that you will want to listen to again. When I saw The Thing recently Paal Nilssen-Love told me after the show that he loves working with larger ensembles because you can see where notation or arrangements agreed beforehand are going, But that he also loves duos like the ones with Peter Brötzmann and Joe McPhee, free jazz heroes and legends for him and others. 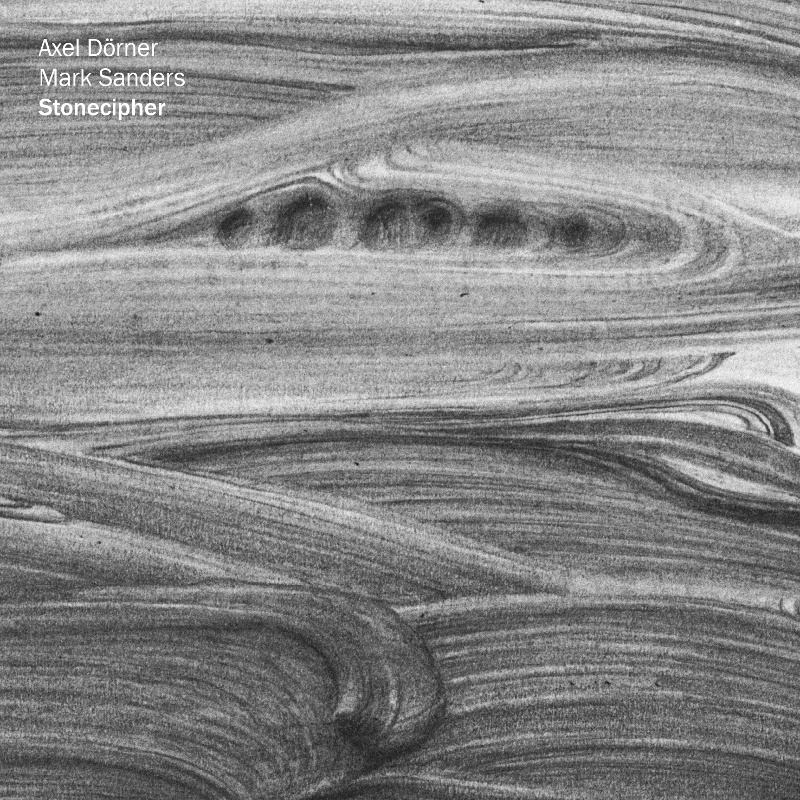 And sometimes he transgresses genre limits and teams up with Massimo Pupillo and Lasse Marhaug on “Your Next” or with James Plotkin, who is better known as a pioneer guitarist in new metal, dark ambient, industrial, noise, grindcore and drone rock – he’s worked with bands like OLD, Scorn, Khanate, Phantomsmasher, Khlyst and his latest project Jodis. 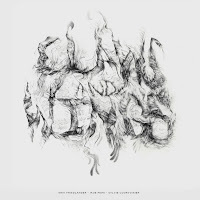 Grindcore guitar can also be subsumed under “noise” (see this week’s reviews) so that Nilssen-Love’s decision to work with Plotkin is no great surprise. More interesting is Plotkin’s approach to Nilssen-Love’s ferocious off-the-wall style: solid beats and sound textures instead of trying to compete with drums gone wild. A reversal of the classic role of drums and guitar. Even the melodies Plotkin throws in belong to that strategy. Both musicians seem to profit from this approach, all the tracks are very intense, aggressive and challenging. 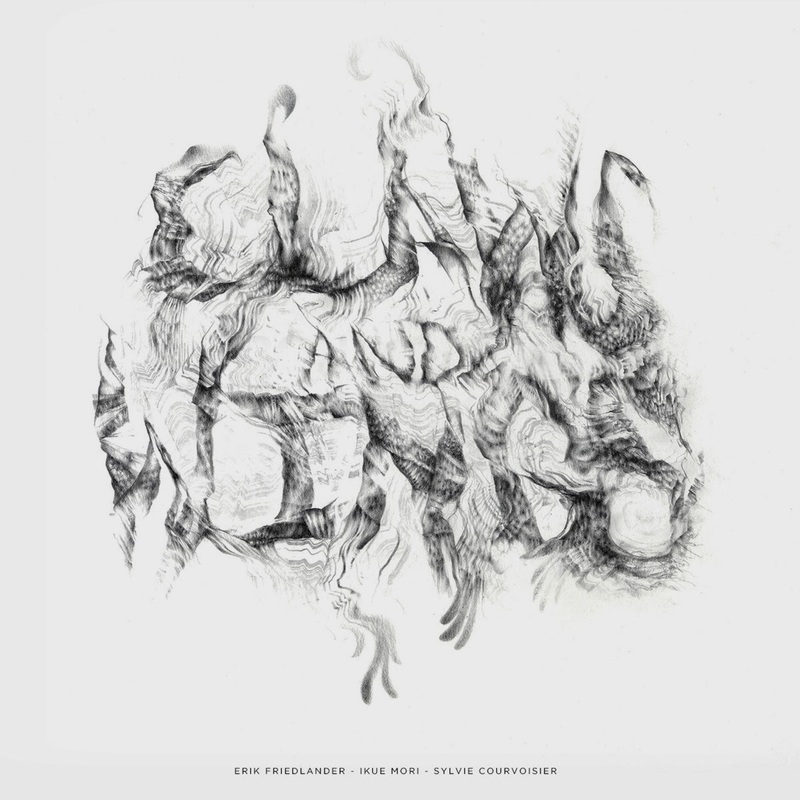 open chords reminiscent of classic American post rock bands like Tortoise and Trans Am. It’s the best track on the album, a constant clash of musical ideas, in which the musicians frequently change sides. Plotkin uses a lot of synthesizer sounds instead of normal guitar, and almost demolishes the track – which Nilssen-Love does nothing to prevent – resulting in some brilliantly eccentric moments. Unfortunately, the album cannot maintain this level. Although the other tracks are good they do not have the same focus as “The Skin, the Colour”, the sounds and structure are mostly variants of the opening track. excels on cymbals in “Primateria”, a pure prog rock fantasy that sounds like a manic acid trip. 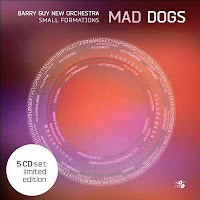 The album can be bought at instantjazz.com. Nilssen-Love is not so much a textural as a rhythmic drummer, where everything flows from an acute sense of pulse and sub-divisions of the beat. More Elvin Jones or Roy Haynes than Sunny Murray. Like all great musicians, he has a recognisable voice, but is also flexible enough to adjust his playing to suit the ensemble in hand. These two albums share the same drummer, but not necessarily the same drumming. With McPhee, Nilssen-Love is lighter, more restrained to match McPhee’s often reflective cast of mind; with Brötzmann, the intensity tends to discourage any kind of restraint. 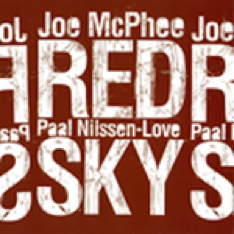 Nilssen-Love’s precision and sense of dramatic contrast can be heard on the title track of the McPhee album – recorded at the 2008 Kongsberg Jazz Festival – Red Sky (inspired by the adage: “red sky at night, sailor’s delight, red sky in morning, sailor’s warning”). 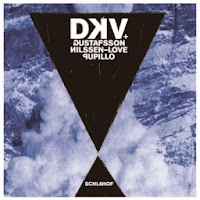 He opens with brushes under McPhee’s nervous smears on trumpet, and when McPhee switches to tenor Nilssen-Love drops down to hi-hat alone before gradually rolling out over the whole of his kit and forcing ever more energetic lines from the saxophone. On Peach Melba he provides restless bursts of energy, an unsettling backdrop to McPhee’s chiaroscuro phrases. In discussing Iron Man Returns in the liner notes, McPhee name checks the unusual triumvirate of Eric Dolphy, Marvel Comics and Black Sabbath. The first half is a barrage from Nilssen-Love, which gradually subsides as McPhee plays a riff which, to my ear at least, bears no resemblance to Sabbath’s Iron Man (which had nothing to do with the superhero) but which does sound a bit like Dolphy. Confused, I decided to abandon the liner notes and just enjoy the music. McPhee has produced a number of musical tributes and elegies – most notably on the album with drummer Chris Corsano: Scraps and Shadows – and there are more here. 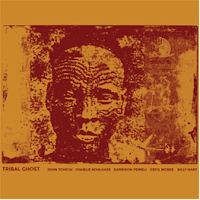 Till (Remembering Emmett Till) is a plangent lament on trumpet and then tenor, with repeated funereal cymbal strokes from Nilssen-Love, who briefly accompanies himself and McPhee on drums. Again, an appreciation of the power of a simple gesture. McPhee’s version of Duke Ellington’s Come Sunday commemorates the same tragic event as John Coltrane’s Alabama, with more nuanced brushwork from Nilssen-Love. As the piece comes to a tender close, McPhee’s tenor is reduced to a whisper and barely completed phrases, as if ultimately lost for words in the face of the terrible deaths of four children, incinerated in a church. 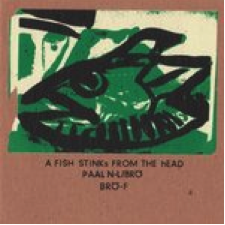 And so, to A FISH STINKs FROM THE hEAD (that’s the typography on the cover – a proverb that means that when people in charge misbehave, others will follow) which is a performance recorded at London’s Cafe Oto on the second night of a weekend residency in April this year during a European tour by Brötzmann and Nilssen-Love. As is often the case at Oto, they were joined by local guests: Pat Thomas (piano) on the first night and Claude Deppa (trumpet) the second, from which this recording is presumably the first set, with Brötzmann and Nilssen-Love playing alone. 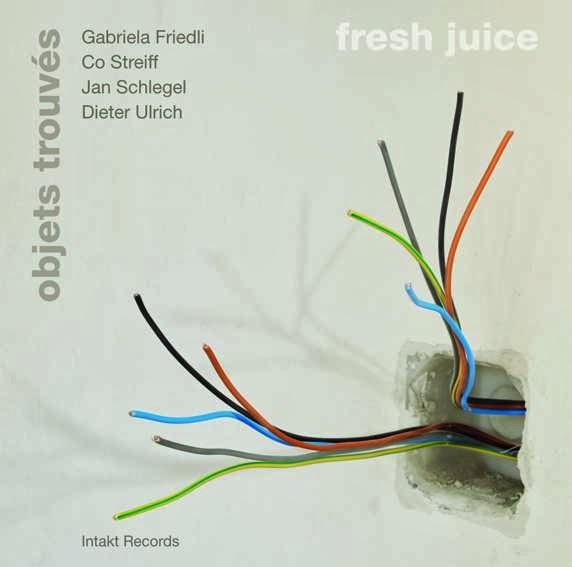 Oto is an environment in which Brötzmann can be at his most inspirational, and the good news is that many of his recent performances there have been recorded, hopefully for future release. Anyone who thinks that Brötzmann just closes his eyes, blows hard and does the same old thing should listen to his duo recordings with drummers – Andrew Cyrille, Hamid Drake, Han Bennink, Michael Zerang, Jörg Fischer, Nasheet Waits, Günter Sommer, Peeter Uuskyla, Walter Perkins, Steve Noble, Willi Kellers, and my own favourite: Shoji Hano (try Funny Rat/S 2) – some of his most varied and revealing work. In the title track, Brötzmann and Nilssen-Love let loose with a burst of kinetic energy, a point at which many other duos would finish their set. 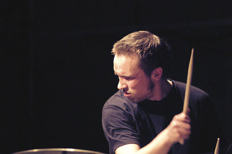 One can hear how Nilssen-Love has incorporated the syncopated grooves of rock drumming into his playing – as well as an ability to reach sound levels not heard since John Bonham – but without the leaden and rather shadeless beat beyond which many rock drummers don’t seem able, or prepared to progress. With Nilssen-Love there are polyrhythms, with superimposed clips and rolls, patterns rising and falling, expanding and contracting, sometimes sounding like an Ewe drum orchestra with Nilssen-Love as both master and secondary drummer. Over this, Brötzmann’s blues-like phrases groan, struggling with paroxysms of joy and terror. They’ve been here many times before in various combinations, but it still sounds fresh and exhilarating. 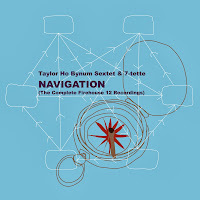 After a solo passage from Nilssen-Love, Brötzmann switches to tárogató and the shock waves recede. His own solo is full of typically obdurate phrasings. 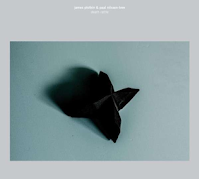 Almost inevitably, the denouement is the variant of the Master of a Small House theme heard when the ADA trio played at Oto with Pat Thomas the previous year (reviewed here). 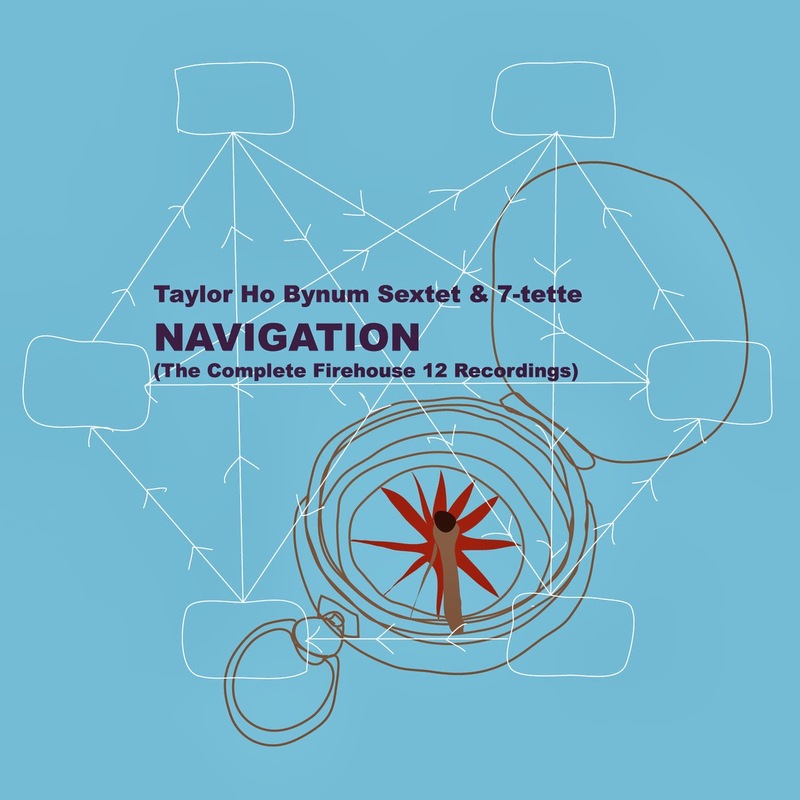 Repeated listening suggests that in fact, the harmonic structure of this theme governs the whole piece, oblique references gradually narrowing to simple quotation: the reverse of the usual improvising trajectory. The music then fades, with Nilssen-Love using his hands rather than sticks. By way of contrast, Range of Night is a ballad; gradually moving from sorrow to anger as Brötzmann’s vibrato laden line become louder and starts to fracture. Nilssen-Love does not mark time behind Brötzmann, he occupies a complimentary part of the same territory – matching and following Brötzmann’s emotional curve – and showing that he can do textural playing when the need arises. I’ve knocked off half a star in rating both albums due to the paltry 34 and 33 minute durations. Neither is an essential purchase, but they’re desirable nonetheless. The albums are released on Nilssen-Love and Brötzmann’s own labels, respectively. 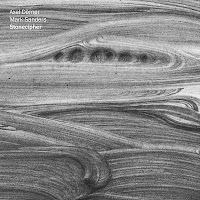 Unfortunately, A Fish is limited to 400 copies which can be purchased from Eremite Records’ website, but you might need to be quick as some will have been sold at gigs during the duo’s recent US tour. The albums can all be bought on instantjazz.com. Or as Okkyung Lee put it in the program for the Unlimited 27 festival in Wels: “To me noise generally means sounds that are not wanted, to be abandoned, don’t quite fit in, not to be there and not necessarily pleasant to ears and even “wrong” at certain times.” Of course, this could have been stated by Lasse Marhaug (who regularly works with Lee and who has produced her excellent album “Ghil”) and Paal Nilssen-Love. Together, they are one of the greatest challenges for any listener –Marhaug alone is like coming under a fierce attack, but in combination with Nilssen-Love it’s like being overwhelmed by a huge electrical storm. But their noise is different: it’s not just unpleasant but something that gives you a visceral tingly sensation that leaves pleasure and satisfaction. You feel more alive and appreciate the beauty because of the very personal and individual way they play with noise, with static – with sound that cannot be notated – in order to create something coherent and musical. What makes Marhaug’s and Nilssen-Love’s noise so exceptional is the way they integrate it into their music. They’ve developed a new and personalized vocabulary that says something about them, and about the journey they’ve made as musicians. The most interesting of their latest collaborations is the one with guitarist Jim O’Rourke, who contributes classic Sonic Youth guitar noise to the duo’s excesses. At the start, Nilssen-Love is a very economical: his usual velocity is reluctant, almost coy. The three musicians blend excellently with each other, Marhaug’s electronics and O’Rourke’s guitar effects are a perfect match – a combination of early Pink-Floyd-psychedelia and new music in the tradition of Stockhausen and Mario Bertoncini. Side A end with a magical moment that could go on forever. The flipside is rawer and more disruptive, Marhaug’s evil static is a constant presence: the disagreeable and disturbing side of noise – something which is constitutive and essential for Fire Room. This band (with Ken Vandermark on saxes replacing O’Rourke on guitar) is nervous, powerful and energetic with tortuous blasts and saxophone outcries, music full of brutality and violent breaks. 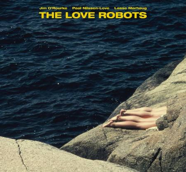 This is not the beautiful noise of the first part of “Love Robots”, lacking its refined sensations, but a full on attack. The album was recorded live on November 23rd 2011 at the Vortex in London, and for these 40 minutes the club must have been set on fire by this band: uncompromising, radical, right at the threshold of pain. 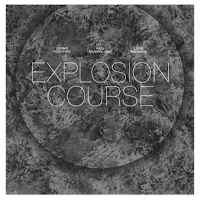 “Explosion Course”, the third album, presents another guitarist: Otomo Yoshihide. He is a more “classic” guitarist than O’Rourke, especially at the beginning where he creates a wall of distorted guitar sounds that almost drown out Marhaug’s electronics, but enable Nilssen-Love to move to the foreground. The A-side presents Yoshihide sounding like Sonny Sharrock going berserk, with Nilssen-Love’s drumming a torrent carrying everything away. The album is bookended by two loud outbreaks, but it also seems to be the most introspective of the three. There are long passages of what I’ve described as beautiful noise – especially the weird psychedelic passage at the beginning of the flipside which sounds like manic early Can. It becomes more interesting the more you listen to it. Structurally, the two Pica albums are alike, seeking direction at the beginning, and increasing loudness and power at the end. 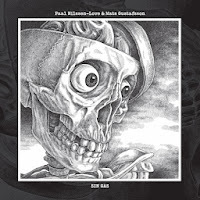 All three albums portray Paal Nilssen-Love as an experimenter in sound, and illustrate his outstanding diversity as a drummer. “Love Robots” and “Explosion Course” are available on vinyl only, “Second Breath” can be purchased on vinyl and CD. The covers of the LPs are wonderful pieces of art. Earlier this year, Paal Nilssen-Love and Mats Gustafsson released "Con-gas", a rare breed of a double 7" vinyl album, with the title referring the congas, the percussion instrument, which on their second release in the series "Sin Gas", gets a Spanish pun as meaning "without bubbles", and as you can expect, the congas are gone, and the drum kit is back. The long first track is the duo at its best, with Gustafsson howling his signature screams, full of endless lament and agony, against a highly kinetic all-over-the place-drumming by Nilssen-Love, the kind of energy romp that you can expect from the duo. Gustafsson switches instruments, tenor to bari to bass saxophone, making the depth of his howling even more impressive, developing the improvisation into a kind of headbanger slow rhythmic repetitive phrases beyond halfway - Gustafsson fans will recognise this instantly, reducing the speed, with Nilssen-Love leaving the space for the deep moaning of the bass saxophone, eventually turning into soft and weird whimpering, supported by little percussive effects, with the bass drum taking over the basic rhythm, quietly ... until all sounds die down. "Slat Map" - a contraction of the musicians' first names I guess - is the shorter second track and it starts with a Gustafsson primal scream, interspersed with real shouts, over a high energy, unrelenting percussive rage produced by Nilssen-Love. It is a physical thing, and you can virtually see the Swede contorting his body to wrestle these manic sounds out of instrument, equally relentless. Things slow down a little in the middle part, pick up again in full force and then the finale is quiet and subdued. It is a short EP, but the quality of the playing, and the interaction between both musicians is among the best you can find - powerful and deeply emotional at the same time. Great stuff. There are two anecdotes about Paal Nilssen-Love that might say more than the following reviews. And after a double set at the 2012 Jazz Métèo Festival in Mulhouse (Atomic and Fire Room) he needed a new shirt after each performance because they were completely soaked wet with sweat. Whenever people talk about Nilssen-Love they are deeply impressed by his awesome energy, his brilliant technique, his sheer power and absolute dedication. He has been a member of groups as different as Peter Brötzmann’s Chicago Tentet, Atomic, Ballister, The Thing, Fire Room, Scorch Trio, or Original Silence (just to name a few) and he has worked with almost every important musician in the contemporary free jazz scene, his reputation precedes him like a thunderclap. Maybe this is what you could expect when you grow up as the son of a drummer who ran the jazz club in Stavanger/Norway and whose main influences are Art Blakey, Elvin Jones, Steve McCall, Philip Wilson but also John Bonham and Stewart Copeland. But Nilssen-Love is not always the mad wizard who provides the barrage for the above mentioned bands, he is also able to play very sensitively, for example in his Double Tandem trio with Ken Vandermark and Ab Baars or when he plays the congas in his duo with Mats Gustafsson. All in all he is one of the hardest working, most innovative and dynamic men of today’s improv scene, releasing at least a dozen of records every year. This week there will be a survey of his latest albums. The highly anticipated, carefully selected, and impeccably curated top 10 lists of 2013 from the Free Jazz Collective, an incredibly subjective selection based on an amazing 1,166 albums which came our way during the year that roughly fit this blog's profile, without counting all the unbelievable sh*t that we also receive, now that our blog's popularity has reached its peak, so impossible to completely listen to all albums even once, let alone sufficiently to listen deeply and to review properly. 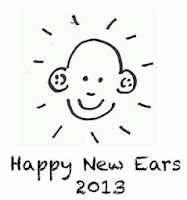 But then luckily we shared forces this year, with Martin, Paolo, Dan, Tom, Joe, Colin, Troy, Paul and Stef. A crazy year again, with lots of great music, and as the individual lists can testify, it was also impossible to restrict ourselves to a top-10 list even. We aggregated our end-of-year lists and came up with this actually quite balanced must-haves for the year, with a calculation based on the most complex mathematical algorithms and algorhythms (including the number of stars and the number of mentions in the lists below as critical aspects of it). Various Artists - Just Not Cricket! 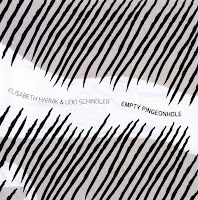 It is extremely hard to cope with the passing away of a beloved one, let alone to turn this grief into music, but that is somehow what cellist Erik Friedlander does on this album, after his wife died end November 2011. 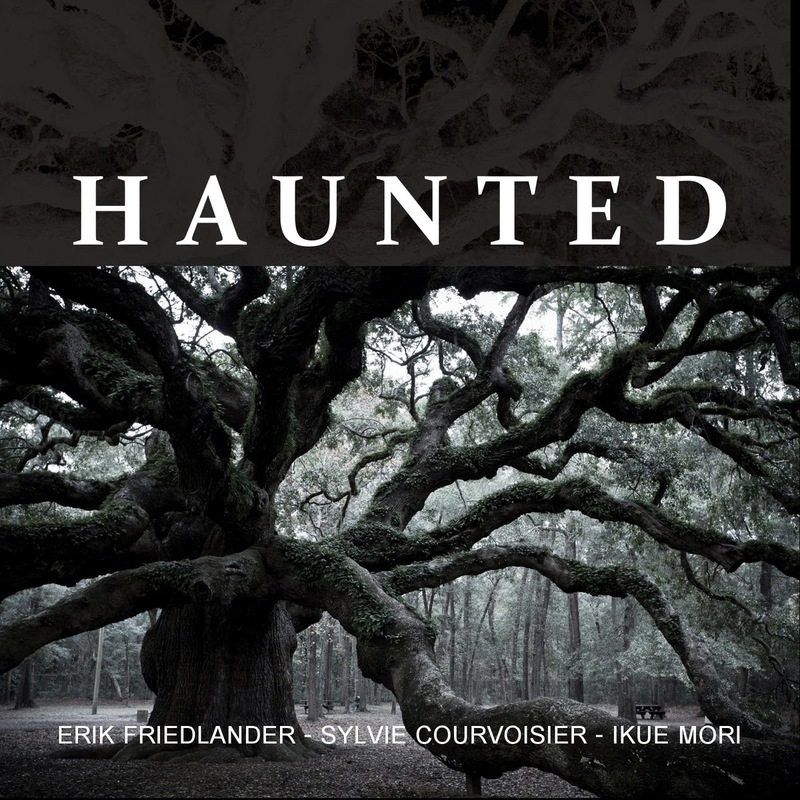 Friedlander is joined by Sylvie Courvoisier on piano and spinet, and Ikue Mori on laptop. Friedlander, best know to a broader audience for his work with the Masada String Trio, is a very sensitive player, whose technical skill allows him to play with refinement and sophistication, with usually a very stong emphasis on melodic composition. That is not always the case here, apart from the beautiful theme of "Frail As A Breeze". The trio creates sonic atmospheres, with slow and precise playing, allowing for lots of space and silence, with a sadness that is all-pervasing. The music is fragile, beautiful and tender, with quiet piano chords, bowed cello and the electronics weaving tranquility. Friedlander is sufficiently intelligent to make it all sound authentic, digging deep into his own feelings and expresses not in a self-centered anger, but in sad beauty offered to the other one. Listen at Bandcamp. Available at instantjazz.com. "Haunted" is a kind of sequel, an EP played by the same trio, probably with material that didn't make it to "Claws and Wings", but could have, bringing the same sad atmosphere, with a more ominous feeling, and this one was offered as a halloween special. 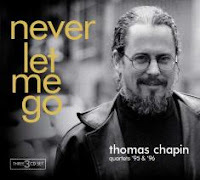 Soon, his soundtrack album "Nothing On Earth" will also be released. 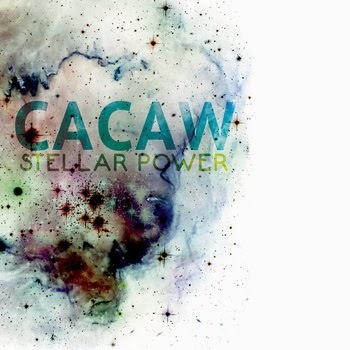 The opening moments of CACAW's Stellar Power is a quick study in contrasts. A heavy rhythmic figure kicks things off and then soon enough a light electric piano locks into an abstract groove only to circle back to the thick riff. The rhythms keep shifting back and forth, never too steady, but never too wobbly either. Then at the halfway mark, the keyboard distorts, the melody comes in on the sax, sounding somewhat like Weather Report. The next track throws me, gone are the tricky grooves and gritty textures and in their place is a peculiar synth sound, like the 'brass orchestra' setting on an old Casio keyboard (no, not literally, it's a pretty cool sound) playing a lilting figure. As the sax takes on the melody the keyboard's sound morphs and the song fractures into little pieces. CACAW is lead by keyboardist Landon Knoblock and, according to his website, the trio splintered off from a larger group that performed the music of pianist/composer Andrew Hill. While the group seems to have veered far from their origin, I suppose that when you have the talent of woodwind player Oscar Noriega and drummer of Jeff Davis behind you, and you're a keyboardist with a love of science and science fiction, how could you not expect to explore the intersection of synth rock and jazz with song titles that reference Blade Runner? In the early seventies, jazz was propulsed into in a cultural trend of full exuberance and possibilities, in line with the technical and aural floodgates being opened in the second half of the sixties. New instruments and new technology were introduced, but also the communal concept of creating music on the spot, with whomever happened to be around, and it basically didn't matter whether your background was in rock or in funk or in jazz, the more influences, the better, as long as the music performed originated from a sense of musical community, of tribal belonging, of being member of the same spiritual or visionary family, which would break down the boundaries of convention, the limitations of bourgeois society, the phobia and pettiness of middle-class America, breaking into new realms of love and spiritual unity, unleashing powers and sounds unheard of before, and some of them went even beyond the confines of our mother earth, deep into the universe, and even to Saturn. One man even claimed he was from Saturn, a musician called Sun Ra, who already by the late fifties had paved the way, and even if people thought him excentric and bizarre, his performances and outfits and music gradually got acceptance and even traction with an enthusiastic incrowd of fans, with musical sentiments that gradually also shifted from a boppish base to the more maddening sounds of free jazz, but not with the smaller quartets or quintets as expected, but with large bands, introducing a cocktail of instruments, resulting in the cosmic chaos that became his trademark. Other bands followed suit, with the Human Arts Ensemble a highly recommended reference for the ones interested, with musicians such as Luther Thomas, James Marshall, Charles "Bobo" Shaw, Oliver Lake and Lester Bowie. The music had to be raw, brutal, chaotic, unrefined, almost by definition, as long as it was expansive and lengthy and hypnotic and exuberant, a powerhouse of sound created by a whole group of musicians who felt comfortable moving in and out of the huge wall of sound of cacophonic voices and maddening percussive power. Drummer Sam Lohman and guitarist Edward Ricart now created the New Atlantis Octet, whether just an opportunity meeting or a real project is uncertain, with great musicians such as Roy Campbell Jr on trumpet, Steve Swell on trombone, Aaron Martin on alto saxophone, Jason Ajemian and Vattel Cherry on bass, and Andrew Barker on drums. Yes, that's right, two bass players and two drummers. And the music goes back to this early seventies mayhem, with two long tracks, fully improvised, and the sound is rambunctious, loud, dense and raucous, and even if the listener is overwhelmed at first, the playing is so good, and the musicians sufficiently sophisticated and unselfish to give priority to the overall sound, taking a step back once in a while to give their bandmates some space, that the overall piece is highly enjoyable. You know of course that what you're hearing is not really evolving, that there is no point to which they are working, it's all in the "now", full of energy and group dynamics, and even if their final destination clearly is to reach the sun (who would doubt the truthfulness of the title? ), this is all about the journey itself. 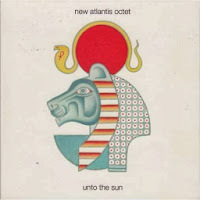 In Sun Ra's cosmic philosophy, outer space and ancient cultures have obvious connections, and hence the titles here, "Sekhmet" for the first thirty-five minutes refers to ancien Egypt and "Amaterasu" for the next thirty-seven refers to Japan's shinto religion, each time invoking the goddesses of the sun, the former the daughter of no less than Ra himself, the second being the goddess of the sun herself. Both tracks give you more than one hour of absolute cosmic chaos. It is fun, it is exhausting, it is endless, it is a listening experience that once the last notes are played after seventy-three minutes of uninterupted listening at full volume, and the silence of your surroundings is heard again, perplexingly, your brain has been programmed in such a way, that you have no other thought in your head than that you've actually reached the sun. With a title somewhat inspired by Sun Ra, Norwegian bass player Ole Morten Vågan assembles a band of some of Northern Europe's most creative musicians, with Rudi Mahall on bass clarinet, Axel Dörner on trumpet, Fredrik Ljungkvist on tenor and clarinet, and Jon Fält on drums, for a performance of his own compositions, and as he describes in the video below, often built up around nothing more than a theme, snippets of composed sequences, musical ideas and thoughts jotted down when travelling, assembled and structured and the starting phase for these excellent improvisers to be used as a springboard for expansion, interaction, dialogue and collision or maybe collusion too. This is jazz "pur sang", with musicians fully at ease with the material, enjoying their individual voices of freedom and expression to be shared with like-minded and like-talented artists to bring something that is more than the sum of its parts, a joint instant co-creation of boppish moments full of boisterious romp or quieter abstract introspections, yet always kept together by a common feeling of musical joy, cemented by Ole Morten Vågan's great themes. 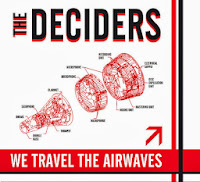 So unlike Sun Ra, this band is not 'traveling the spaceways', but staying closer to home, more down to earth, no less exuberant, yet within the confines of humanity, and with only simple acoustics as travel means. 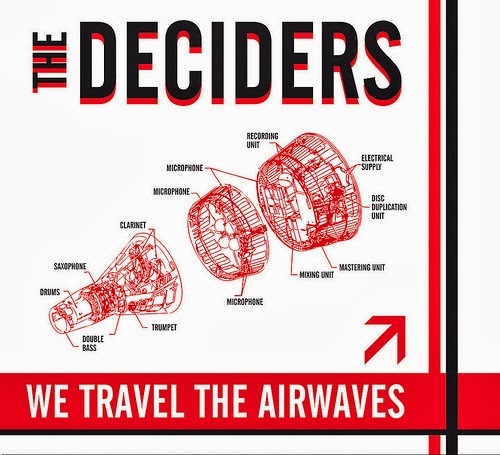 If you like bands like "Motif", "Die Enttäuschung", "Peeping Tom" - not surprisingly bands with some of the same musicians, and not surprisingly bands that build on jazz heritage to propulse them into modern artistic sensitivities - you will also like The Deciders. Saxophonist Catherine Sikora's playing is not predictable, you never know where a line, or even the instrument's tone may go, and she knows how to use it to create captivating sounds. 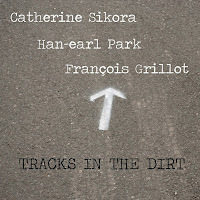 Tracks in the Dirt, a recent improvised collaboration with guitarist Han-earl Park and bassist Francois Grillot, exemplifies this restless experimentation. The recording is an enjoyable listen for open ears. The opening track, 'Helix' contains some of my favorite moments of the recording. Sikora's soprano sax sounds like it is drawing a line from each hit of the bass, with Park coloring in the spaces between. Park, with whom she also released Cork 04-04-11, is an understated and sympathetic accompanist throughout. 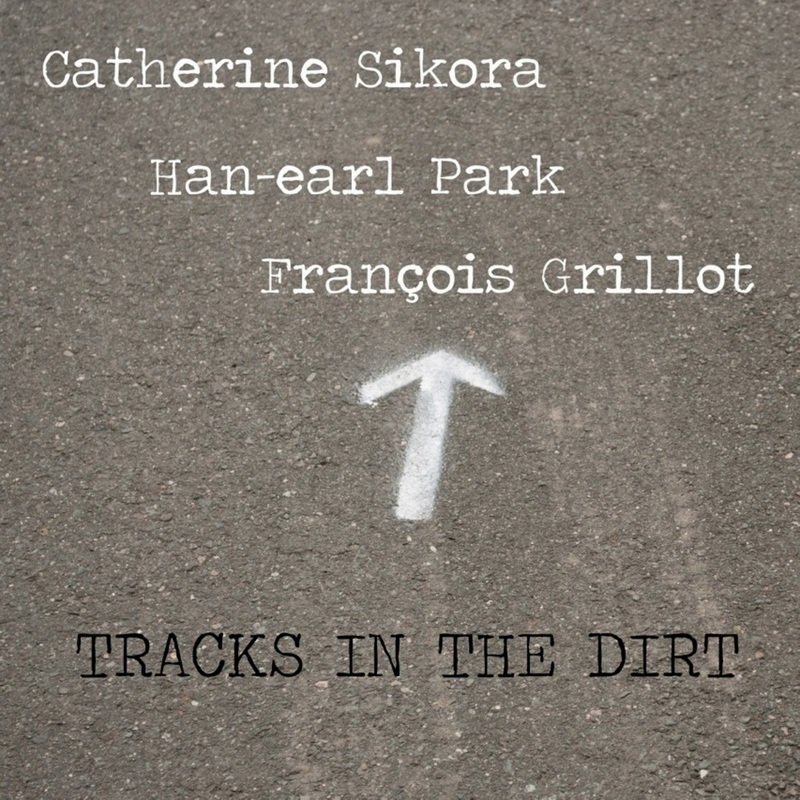 Feel the force of Sikora's playing too - halfway through the second track, 'The Chopping Block' her soprano is clear and cutting, the melodic lines spinning and swirling around Park's textures and Grillot's rhythmic pulse. The last track, 'Afternoon Song', begins with the ambient rustling of Parks prepared guitar (my assumption), that almost sounds like the chirping of birds. As his presence deepens, the sound of the sax and thawk of the bass, in and out if time, in-sync with abstract notions grows stronger. In these opening moments we are reminded of the chance encounters and smart musical ideas that make this recording so effective.